Last thursday I had the most wonderful audience for my presentation on the EA Conference of IRM UK in London. Everyone of the 60+ participants had an open mind listening to my visual story about how to let the CIO take decisions using architecture visualizations. It appears that architects hardly collaborate with the CIO and worse the CIO takes architectural decisions using input of other people than of their own architects. With this situation at hand the architect must do something: Present himself with a visual architecture that his CIO can not refuse for decision making. 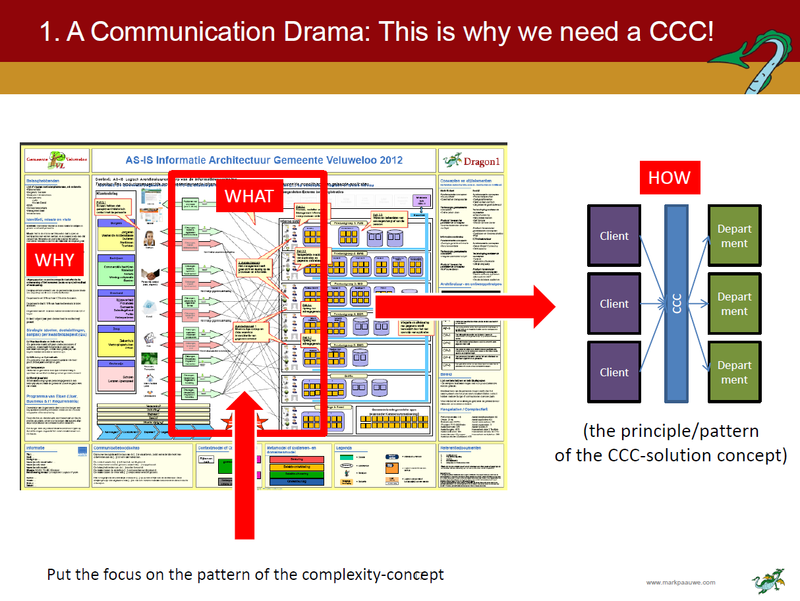 But is every architect able doing this: Create usable visualizations for the CIO? I say yes. 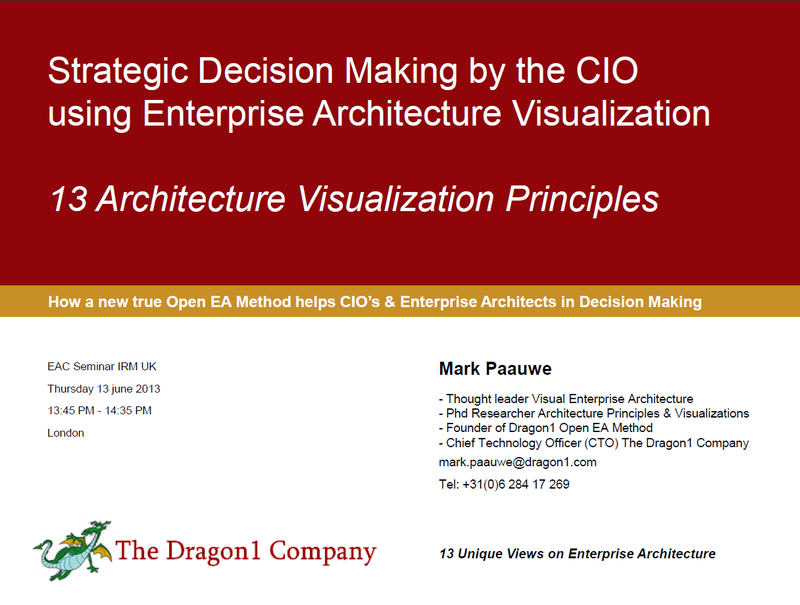 Using a new paradigm for enterprise architecture to make it easier: the Dragon1 open EA method. In Dragon1 we focus on conceptual design as architecture being a total concept and an architect being a creative designer. With this foundation the road is cleared to focus on decision making choosing the proper business or IT concepts given certain ambitions and goals and given the current (unfit) situation. 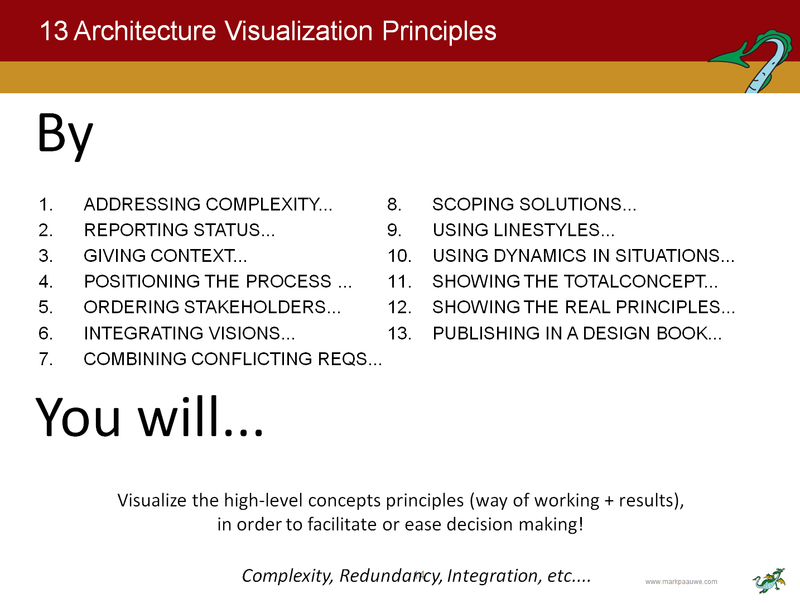 In the presentation, that is available for download here, I showed how with techniques like simplicity, focus, context, exploded views, sketching and reporting an architect can make a CIO take decisions using architecture visualizations. I am very much interested in your experience as an architect in applying these visualization techniques coming from the open Dragon1 EA Method. Anytime you can send me suggestions or your experience.